Cozumel is a massive island, one of Mexico’s largest islands. Cozumel island is one of the safest locations in Mexico and offers endless possibilities as there is always a wide variety of great Things To Do Cozumel. If you are planning to visit Cozumel on your next vacation and you already have your Cozumel Tours all planned, you have to consider spending enough time to take advantage of all the amazing things Cozumel has to offer. Before traveling to Cozumel, you have to plan ahead to know the best time to visit and get better acquainted with some of its world famous events taking place during these periods. One of the best times of the year is to visit Cozumel during the “Carnaval de Cozumel”. Carnaval is similar to the carnival celebrations in Brazil but organized in a much safer place. There is so much to do and colorful things to see during Carnaval in Cozumel. Carnaval Cozumel is fun island tradition celebrating an eclectic mix of cultures. Dating as far back as the late 18th century, Cozumel Carnaval started off when young people dressed in beautiful costumes known as “Comparsas” or “Estudiantinas” took to the streets of Cozumel with their lovely songs and amazing dance steps. The Carnaval Cozumel which takes place every year offers tourists the opportunity to see vibrant, colorful parades that incorporate a wide range of performing groups and several beautiful costumes. The streets are usually filled with locals and tourists hours before the parade begins. On parade days, spectators will be entertained with loads of fascinating activities and also catch great view of the parade antics to delight the senses. Here you’ll find beautifully dressed harem girls, cowboys, kid wagons, Royal Court floats, butterfly stiltmen, dance groups, and lots more. For an opportunity of having a clearer view of the colorful parades, it is advisable to be out on the streets hours before the commencement of the carnival to choose a perfect and convenient spot for yourself. The Carnaval Cozumel is one of the major fascinations of Cozumel that attracts thousands of tourists annually who come to enjoy the festivities and experience remarkable fun. 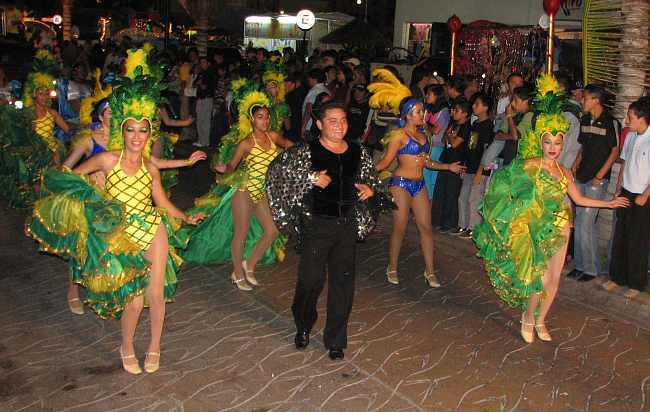 Before the parades, you will see individuals and groups dancing all over the streets of Cozumel. The atmosphere is filled with excitement and since most of the streets are filled with people, there is usually heavy traffic on the roads. Every year, it is tradition for Carnavaleros to exchange candies and flowers with onlookers, and you might be fortunate enough to be selected. Most of the people who took part in the parades are among those selected after competing for prizes. Each group is made up of at least 40 dancers. In order to ensure the event is as colorful and entertaining as ever, participants undergo several months of training and preparation. 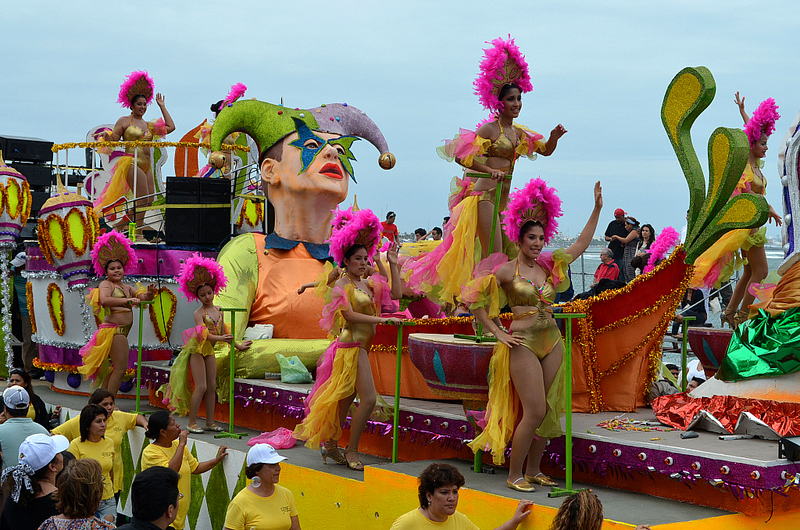 Carnaval de Cozumel is usually celebrated the week before Mardi-Gras and Fat Tuesday in the month of February annually. If you are looking for the best time to visit Cozumel, you should consider traveling during the Cozumel carnival month. 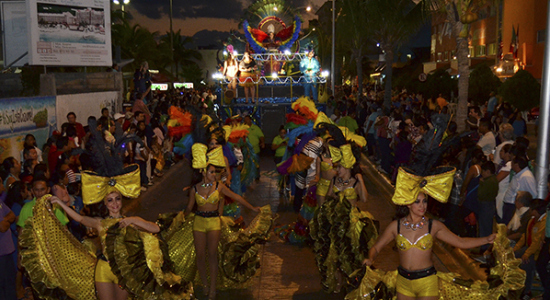 Plan your trip to Cozumel at this time and witness for yourself the fun, colorful costumes and lovely parades. There is no better time to visit than during the Cozumel Carnival celebration. It is without doubt an event not to miss out on. So Discover Mexico invites you to come enjoy Carnaval in Cozumel! This entry was posted in Cozumel Travel Tips, Mexican Culture and tagged Carnaval, Carnaval Cozumel, Carnaval Cozumel 2015, Carnaval in Cozumel, Carnival, Carnival Cozumel, Carnival in Cozumel, Cozumel, Cozumel Activities, Cozumel Carnaval festival, Cozumel Cultural Events, Cozumel Family Activities, Cozumel Family tours, Cozumel History, Cozumel Mexico, Cozumel Travel Tips, Cozumel Vacation, Cozumel vacation planning, History of Mexico, Mexican Culture, Things to do in Cozumel, Vacation to Cozumel on February 17, 2015 by discovermex.